Herman Hollerith is widely regarded as the father of modern automatic computation. He chose the punched card as the basis for storing and processing information and he built the first punched-card tabulating and sorting machines as well as the first key punch, and he founded the company that was to become IBM. Hollerith's designs dominated the computing landscape for almost 100 years. After receiving his Engineer of Mines (EM) degree at age 19, Hollerith worked on the 1880 US census, a laborious and error-prone operation that cried out for mechanization. After some initial trials with paper tape, he settled on punched cards (pioneered in the Jacquard loom) to record information, and designed special equipment -- a tabulator and sorter -- to tally the results. His designs won the competition for the 1890 US census, chosen for their ability to count combined facts. These machines reduced a ten-year job to three months (some sources give different numbers, ranging from six weeks to three years), saved the 1890 taxpayers five million dollars, and earned him an 1890 Columbia PhD¹. This was the first wholly successful information processing system to replace pen and paper. Hollerith's machines were also used for censuses in Russia, Austria, Canada, France, Norway, Puerto Rico, Cuba, and the Philippines, and again in the US census of 1900. In 1911 Hollerith's company merged with several others to form the Computing-Tabulating-Recording Company (CTR), which changed its name to International Business Machines Corporation (IBM) in 1924. 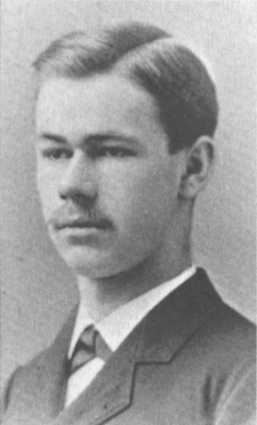 Young Herman Hollerith Photo: . Between the 1880 and 1890 censuses, Hollerith spent a year (1882) on the Mechanical Engineering faculty at MIT, and then in the mid-1880s worked on railroad braking systems, obtaining several patents for both electromagnetic pneumatic brakes and vacuum operated brakes, as well as for corrugated metal tubing. Hollerith's ideas for automation of the census are expressed succinctly in Patent No. 395,782 of Jan. 8, 1889: "The herein described method of compiling statistics which consists in recording separate statistical items pertaining to the individual by holes or combinations of holed punched in sheets of electrically non-conducting material, and bearing a specific relation to each other and to a standard, and then counting or tallying such statistical items separately or in combination by means of mechanical counters operated by electro-magnets the circuits through which are controlled by the perforated sheets, substantially as and for the purpose set forth." Hollerith's contributions to modern computing are... "incalculable" :-) He did not stop at his original 1890 tabulating machine and sorter, but produced many other innovative new models. He also invented the first automatic card-feed mechanism, the first key punch, and took what was perhaps the first step towards programming by introducing a wiring panel in his 1906 Type I Tabulator, allowing it to do different jobs without having to be rebuilt! (The 1890 Tabulator was hardwired to operate only on 1890 Census cards.) These inventions were the foundation of the modern information processing industry. However, the 1932 Columbia University Alumni Register  shows that Hollerith received a Ph.D., and further states that the Ph.D. had never been granted as an honorary degree; the honorary doctorate in the sciences was the Sc.D. The Minutes of the Faculty of the School of Mines, 3 April 1890, state (regarding Hollerith's lack of prior matriculation in the doctoral program): "Resolved, that the Board of Trustees be respectfully requested to waive this requirement in the case of Mr. Hollerith, and to grant him the degree of Doctor of Philosophy upon the work which he has performed" and by the subsequent Trustees resolution of 7 April 1890, granting him the degree. Medaille d'Or, Exposition Universelle de 1889. Elliott Cresson Medal of the Franklin Institute of Philadelphia, 5 Feb 1890. Bronze Medal, World's Columbian Exposition, 1892. National Inventors Hall of Fame, 1990. Hollerith, Herman, "An Electric Tabulating System", The Quarterly , Columbia University School of Mines, Vol.X No.16 (Apr 1889), pp.238-255. Hollerith, Herman, In connection with the electric tabulation system which has been adopted by U.S. government for the work of the census bureau . Ph.D. dissertation, Columbia University School of Mines (1890). Hollerith, Herman, "The Electric Tabulating Machine", Journal of the Royal Statistical Association , Vol.57 Part 4 (Dec 1894), pp.678-682. "The Hollerith Method of Statistical Tabulation", Frank Leslie's Illustrated Newspaper , October 12, 1889, p.182. Scientific American , Vol.63, No.9, August 30, 1890. United States Census Office, Eleventh Census of the United States (1890), 25 volumes. Martin, T.C., "Counting a Nation by Electricity", The Electrical Engineer , New York, November 11, 1891. "Hollerith's Electric Tabulating Machine", Railroad Gazette , 19 April 1895. Braitmeyer, Otto W., letter to (Columbia Professor) Ben Wood, 30 May 1930 (a 3-page Hollerith biography). Austrian, Geoffrey, Herman Hollerith: Forgotten Giant of Information Processing , Columbia University Press (1982). Letter of Richard Hollerith to Robert J. Hackett, Editor, Columbia University Record , 15 March 1990. Truesdell, Leon E., "The Development of Punched Card Tabulation in the Bureau of the Census 1890-1940", US Government Printing Office (1965). Herman Hollerith, An Electric Tabulating System, Columbia University School of Mines Quarterly, Vol.X No.16, April 1889. Census Data for the Year 1890 (University of Virginia). Towards the First Modern Computers (York University Science and Technology Studies, History of Computing and Information Technology, Lecture 15). Hollerith reikäkorttikoneet, Ilkka Kekkonen (in Finnish).